I began climbing in 1989 and have been a working guide since 1998. In that time I have logged in thousands of climbing days and hundreds of mountain summits. I have taken families out for their first rock climbing experience and I have helped train elite members of our military and law enforcement. I have enjoyed some of the most spectacular sunrises and sunsets imaginable and have weathered storms in some of the most unforgiving places on earth. I have stood alone on the summit of Mount McKinley in Alaska and Cerro Aconcagua in Argentina. I have climbed Mount Rainier more than 50 times, done first ascents and repeated many classic climbs. I have twice saved a complete strangers life in the mountains. But I am most proud of the fact that throughout my entire guiding career no client has ever sustained even a minor injury. In January of 2018 Scott will be traveling to PyeongChang, Korea to provide climbing and rigging services in support of the 2018 Winter Olympics. Down days will be spent sampling the local back country and side country ski terrain, and Korean BBQ! Summer of 2017 was a busy season for everyone at ALPS LLC. Throughout June, July and August ALPS staff provided staff training and climbing instruction to local summer camps, led programs for Clemson University, provided self-rescue training for Georgia Tech’s outdoor recreation program. Travel included successful trips in the Cascades, Tetons, Canadian Rockies and British Columbia. Winter of 2017 was a busy season with Scott climbing and rigging camera systems for the Monster Energy Supercross Series, leading a fun and successful expedition to 18,635 foot tall Pico de Orizaba in Mexico. Orizaba is the 3rd tallest mountain in North America. Not long after returning from Orizaba Scott headed north to New Hampshire for a couple weeks leading clients up some of the areas Classic Ice Climbing Routes. Scott Perkins spent 5 weeks in and around Rio de Janeiro Brazil providing climbing and rigging services to the Olympic Broadcast Service for the 2016 Summer Olympic Games. The climbing crew spent their down days rock climbing on the clean highly textured granite domes dotting the Brazilian countryside then “rehydrating” at the many beachside cafes. The highlight of the trip for Scott was the opportunity to spend several days training BJJ at the legendary Nogueira Academy in Recreio. Scott Perkins is proud to be working with outdoor specialty retailer Mountain High Outfitters. In 2014 the Atlanta MHO location hosted Scott for two free slide shows and two free climbing clinics. In addition to free in-store events, MHO offers its customers deeply discounted pricing on guided outdoor climbing trips to locations throughout the southeast. Scott Perkins was awarded the Eddie Bauer First Ascent Scholarship! Scott was one of only 14 professional guides out of 360+ applicants that were awarded full tuition scholarships to attend an American Mountain Guides Association training course. In addition to full financial support, First Ascent outfitted Scott with everything from backpacks and duffle bags to soft-shell clothing to a -40F down parka! THANK YOU Eddie Bauer First Ascent!!!!! Jeff Mekolites and Scott Perkins were awarded an American Alpine Club “Live Your Dreams” Grant for their attempt on the Northeast Buttress of Mount Slesse in the Cascade Range in British Columbia. THANK YOU AAC! Scott Perkins-Alpine Leadership and Professional Services LLC will be working the 2014 Winter Olympics in Sochi Russia in support of high angle rigging needs for the British company Camera Corps. After the games end Scott plans to stay and make an attempt at a winter ascent of Seven Summits peak Mount Elbrus. Some of Scott Perkins’ images were featured in a recent profile of an AMGA Alpine Guides Course in Grand Teton National Park. Assistant ALPS Guide Scott Sampietro passed his AMGA SPI exam with a perfect score. Congrats Scotty! Scott Perkins’ images were featured in a Climbing Magazine article on crags with a military history. Scotts images featured local Tennessee hardman Dave Draper on The Prow at Sunset Rock and local hardwoman Carol Simmons on Dodge City also at Sunset Park. Scott Perkins-Alpine Leadership and Professional Services LLC was selected to be a principle with the training and contract security firm ATG. An international firm based out of Miami Florida, ATG provides training and consulting to Military and Federal and State Law Enforcement entities. Scott will instruct ATGs Rugged Terrain Evidence Recovery Course as well as several other climbing/rappelling and rescue/self-rescue courses. Scott also won the inaugural Top Gun award with the highest recorded score during the company’s two gun (M4 & pistol) shooting comp. 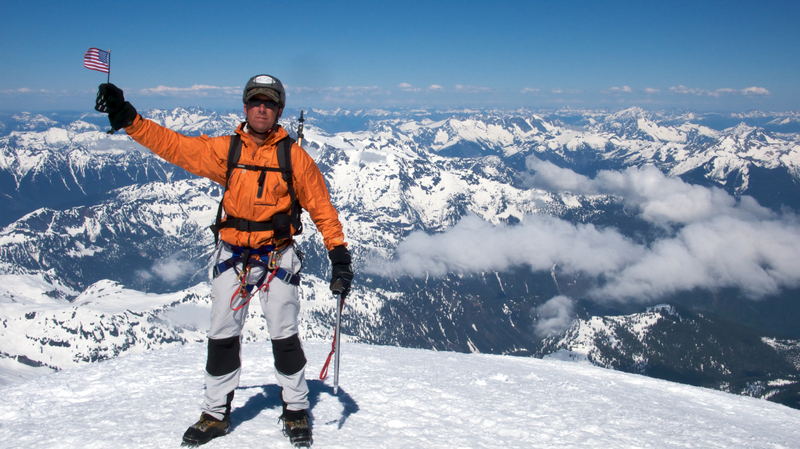 The Southeastern Climbers Coalition has appointed Scott Perkins an SCC board member. Scott will help manage SCC decisions regarding climbing areas in Georgia, Alabama, and Tennessee. Additionally, Scott was appointed the property manager for SCC owned Jamestown Alabama. Jonathon Hollada and Scott Perkins were feature contributors to Alpinist Magazine. Look for their 8 page photo essay on Laurel Knob NC in Alpinist #25. Scott Perkins-Alpine Leadership and Professional Services LLC partnered with the American Alpine Club to offer free Safe Rappel Practices clinics at Stone Summit climbing and Fitness Centers, Mountain High Outfitters, Escalade Climbing Gym, and Climb Nashville. Be sure to check in and find out when and where the next clinics will be held. Scott Perkins-Alpine Leadership and Professional Services LLC and the Atlanta Climbing Club partnered for a series of “Climb Safe” and Rescue/Self-rescue courses. Tim Lacny, the president of the ACC spearheaded the drive to get participants out and learning new techniques and reviewing old skills. Scott donated his instructional time and Fernando Paulett at Unique Outfitters donated lots of cool swag for the event. All proceeds were donated to the Southeastern Climbers Coalition to be used to help pave the road into the SCC owned crag Steele AL. Scott Perkins provided a multi-media presentation to the Atlanta Climbing Club entitled “The Guiding Path”. Topics ranged from the AMGA training courses to advanced avalanche forecasting to land navigation and wilderness first aid training. The evening wrapped up with club members trying their hand at the 5 minute Knot Pass Drill where participants have 5 minutes and a limited amount of equipment to lower a climber past a knot joining two ropes. This is one of the core rescue drills tested in AMGA exams. Nobody managed to “pass” in the required 5 minutes but we did get lots of laughs. Scott concluded the evening passing the knot in 1min 54seconds.